Is your association stagnant? Are you behind the curve in adapting to the digital age? If you’re still using ancient systems or processes, you may be guilty of committing the sins of digital transformation. What is digital transformation & why should I care? Digital transformation is the integration of digital technology into all areas of association, resulting in profound changes to how your organization conducts business and how you deliver value to members. The path to digital transformation can be daunting and take years to complete. Along the way there are many pitfalls that can and will challenge the success of your association. However, if you can avoid these 7 deadly sins of digital transformation, your path to success will be less bruising. Many digital projects fail, not because of bad software or poor implementations, but due to lack of focus on one’s own processes, which may require adjustments to accommodate the benefits that digital initiatives can bring to the organization. You don't have clear, communicated objectives. You have not defined your process. Your process definition is not end-to-end. Your process is overly complex. You do not have controls, measurements, or monitoring. Remember, letting go of pride and embracing digital transformation can improve your association’s overall level of performance. You may have heard of “bright shiny object syndrome.” This can take hold when we see very cool products and services presented by entertaining salespeople. Don’t get distracted by the latest fad. The fact is that many of the features being shown are used to sell something that may not meet your organization’s core needs. In other words, be careful and don’t fall victim to these gimmicks. We have all heard the adage that culture eats strategy for lunch, but it also eats growth, performance, change, and innovation along the way. Organizational change, especially digital transformation, is very difficult and needs the trifecta of leadership, culture, and strategy to succeed. Don’t be lazy when it comes to committing to organizational change. Encouraging innovation and an overall better understanding of digital transformation can improve your association’s cultural mindset. It seems that as technology moves faster, we strive to keep up with the digital revolution in both our personal and professional lives. This onslaught means we tend to utilize fewer and fewer of the innovations available to us—we simply can’t keep up. Organizations very commonly move to the latest and greatest software tools in their transformation, thinking that such investments will fix their problems. Unfortunately, this is often shortsighted, particularly when staff hasn’t been adequately prepared through training and education to fully take advantage of the digital advantages the new systems offer. You need a roadmap, not a quick fix. It’s no fun when your team’s latest digital project gets completely out of control. Every feature becomes a “must have” regardless of whether anyone is clamoring for it or if data even shows that it will be useful. Talk about a digital nightmare! As feature sets grow, so do the timeline, budget, and RISK. It’s very important to have sound prioritization practices in place to discuss, evaluate, and score feature requests to determine the sequencing of requirements and the elimination of unnecessary functionality. Acknowledge and discuss all requests. Establish a solid requirements analysis process. It may not mean NO forever, just for now. Has this ever happened at your organization? In the middle of a major project, a new set of requirements emerges to meet a developing priority for the organization. It’s still speculative, but leadership wants to appear nimble and pushes for movement—greenlighting a new project. However, your organization has limited bandwidth. Shifting any attention to a new feature or system threatens the success of the current project. You should already have established project prioritization while maintaining a solid project list, ongoing feature requests, and a healthy backlog. It’s not only impossible, but also impractical, to do everything immediately. Focus on metrics, not feelings. Involve multiple layers of stakeholders. Many digital IT leaders cringe when staff return from a conference with a whole list of their own “technology priorities.” While in most cases you can put this through a prioritization process, sometimes you face a senior staff member who wants what they want when they want it and attempt to use their position in the organization to force their project forward, with or without the support of the technology team. There is no bigger threat to your overall transformation strategy than rogue projects that aren’t subject to the rigorous process you’re establishing. Hierarchy wields no extra votes. Never take sides (it’s about the priorities). 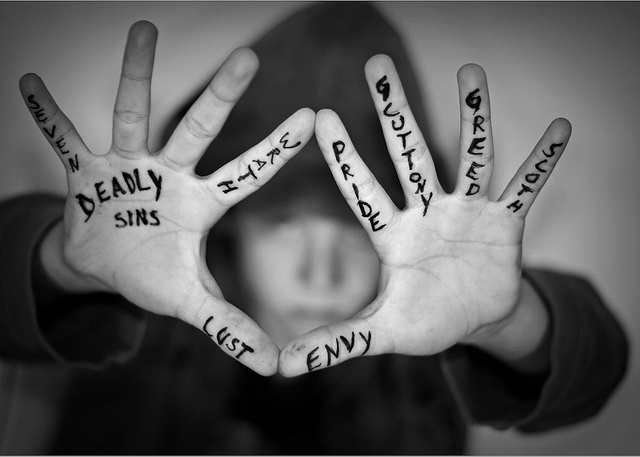 Are you guilty of any of these sins? Remember, without a clear strategy your organization could get stuck behind the digital curve. However, with an informed approach, your association will be well on its way to achieving digital excellence. Lay the groundwork for your digital transformation with a solid digital strategy. Download our free toolkit to see if yours is up to snuff.